Enjoy the luxury of Claradon Village Apartments! Claradon Village offers Luxury, 1, 2 and 3 bedroom apartment homes. Each home features quartz countertops, spacious walk in closets, central air conditioning, energy efficient appliances, washer/dryer hookups, high speed internet and digital satellite TV. You’ll also enjoy beautiful country and mountain views while relaxing on your private patio. 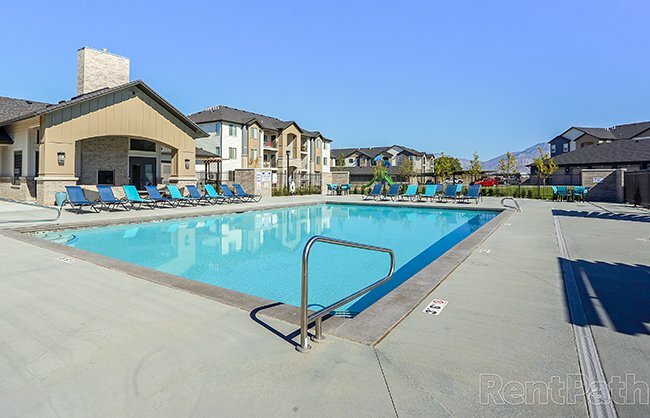 At Claradon Village Apartments our resort style amenities provide the extras you deserve and expect. Have an invigorating work out in our fitness center, take a refreshing dip in our shimmering pool or have a soothing soak in our oversized hot tub. We also have a wading pool and playground. Bringing a furry friend? Enjoy a game of ‘fetch’ in our bark park. Just minutes from Ogden, Layton and SLC, Claradon Village in Weber County offers an unbeatable location. You’ll appreciate easy access to I-15, Weber State University, TRAX and Hill Air Force Base plus the West Haven River Parkway. Offering the accessibility to urban activities in the city and the convenience of outdoor activities like hiking, mountain biking or watersports Claradon Village Apartments is the perfect place for you to call home.